Class W Concealed Firearm, Class G Statewide Firearm and Class D Security Officer. 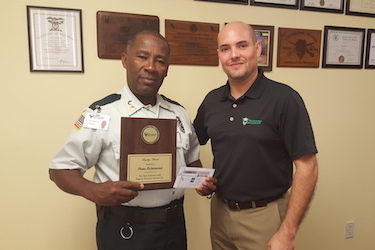 We are a Florida Department of Veterans Affairs approved security training academy. Welcome to the Regions Security Academy training site! Here you will find information on all the courses we offer, both internally and externally, as well as schedules, resources and policies, and the latest announcements so you always know what’s on offer. We at Regions Security Academy value your career development. It’s for this reason that we offer a number of different training courses, both online and offline, across subject areas within the security industry. Regions Security Academy believes that a well-trained employee better serves the interests of both the company and its clients. Additionally, it has been proven that well-trained employees reduce risk, cost of turnover and improve customer service. Our licensed instructors provide an unreserved endorsement and active support of initial and continuous training programs. A cornerstone of Regions Security Academy’s success has been initial, recurrent and specific training on key aspects of the ever evolving security field and its applications. This training both instructs and motivates, ensuring the delivery of the best possible combination of service to our students and customers. Key to this training is the availability of a facility which can deliver the content and quality of training required. Based in Miami, this facility is a State of Florida licensed facility authorized to provide training and certification to security personnel. 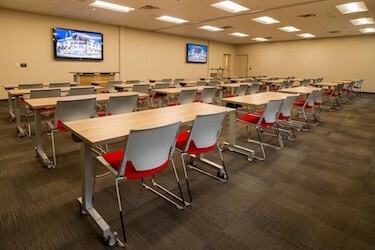 Training is conducted covering all areas of the state requirements as well as other, more advanced areas including crime prevention, evacuations, crowd control, access control, customer service, screening and detection techniques and devices, reports, forms and protocols. You can request to register for any course through our online form, and of course, don’t hesitate to contact someone on our training team should you have any questions. Happy learnings! Regions Security Academy is your training partner in security education, certification, and licensing. 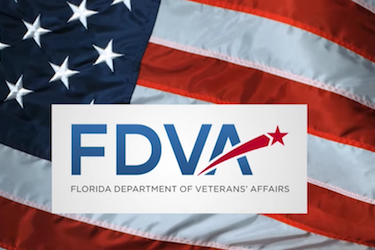 Regions Security is an approved Veterans Training School for education and job training through the Florida Department of Veterans’ Affairs State Approving Agency. Veterans or other eligible persons receiving VA educational assistance can enroll with our school and undergo the required courses. 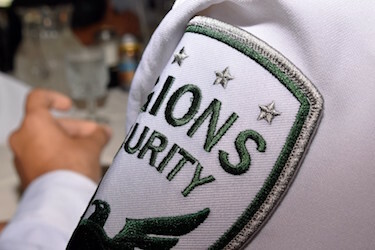 Regions Security provides job assistance with the biggest security companies in the security industry. We have recruiters from local security companies that want to hire our students today because of the quality of training we provide. Click below to see our course schedule and to find out more information about Regions Security job training programs through our professional security training courses. An applicant for a Class “D” license must complete a minimum of 40 hours of professional training at a school or training facility licensed by the State of Florida. However, any person whose security license has been revoked, suspended, or expired for 1 year or longer is considered, upon reapplication for a license, an initial applicant and must submit proof of successful completion of 40 hours of professional training at a school or training facility licensed by the State of Florida. 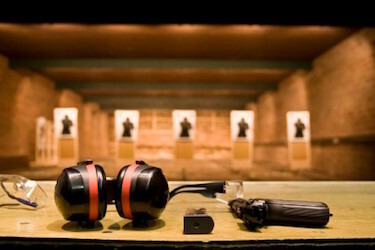 In order to qualify for the Class “G” license, you must have successfully completed 28 hours of range and classroom training provided by a licensed Class “K” Firearms Instructor within the preceding 12 months. The Firearms Instructor will issue a Certificate of Firearms Proficiency (Form DACS-16005) to you upon completion of this training. A copy of this certificate must be included with your application. Students will learn the basic requirements for carrying a concealed weapon or fiream in the State of Florida. Concealed weapons or concealed firearms are defined as a handgun, electronic weapon or device, tear gas gun, knife, or billie. Such license shall be valid throughout the state for a period of 7 years from the date of issuance. You must meet the CITIZENSHIP and RESIDENCY requirements set for in the law. You must be able to provide a CERTIFICATE OF COMPLETION from a firearms training class or other acceptable training document that evidences your competency with a firearm. You must not have a DISQUALIFYING CRIMINAL RECORD or other condition that would make you ineligible for licensure. Completion of any firearms training or safety course or class conducted by a state-certified or National Rifle Association certified firearms instructor.